To celebrate the bloom of spring, Neiman Marcus at Mazza Gallerie held its Art of Fashion event recently. Art connoisseurs and fashionistas mixed and mingled, while perusing the latest spring fashions. The evening’s entertainment was provided by tap sensations, John and Leo Manzari. 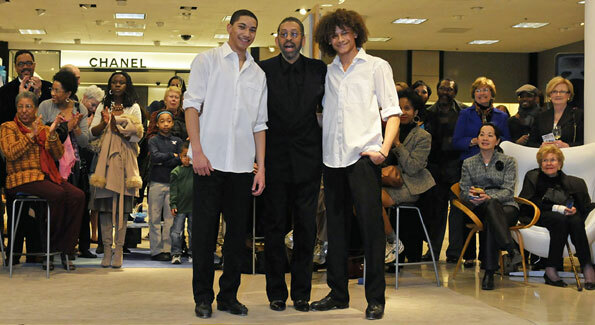 The teenage brother-act was introduced by the legendary Broadway performer Maurice Hines, brother of the late Gregory Hines. “I see a great deal of myself and my brother in them when they dance. They are just fabulous,” Hines commented on the dynamic duo. John and Leo will be making their professional regional theater debuts alongside Maurice Hines in the revival of Duke Ellington’s Sophisticated Ladies. The show will be running April 9th-May 30th at the Lincoln Theater. Tickets are available via www.arenastage.org. 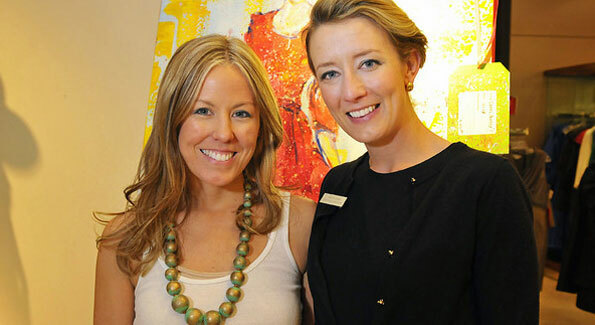 The festivities also featured a live painting exhibition by local artist, Maggie O’Neill. Her vibrant contemporary paintings were inspired by the fresh spring designs displayed by models. The pieces were available for auction to benefit The Duke Ellington School of the Arts.